This homemade face mask for acne is my secret weapon when stress strikes. It uses just two simple ingredients—bentonite clay and apple cider vinegar—and can be whipped up in a flash. When applied to skin, it helps resolve breakouts and blackheads, and acts as an exfoliator, which leaves skin feeling smooth and soft. Because it has numerous health benefits for skin, this homemade face mask can be applied when unexpected breakouts occur, or on the reg (cool person speak for regularly) for deep cleansing and exfoliation. While cleaning my face with coconut oil has greatly improved my skin, because I spend quite a bit of time working out and sweat often, I use this homemade face mask for acne prevention, and to calm any inflammation or irritation once a week. 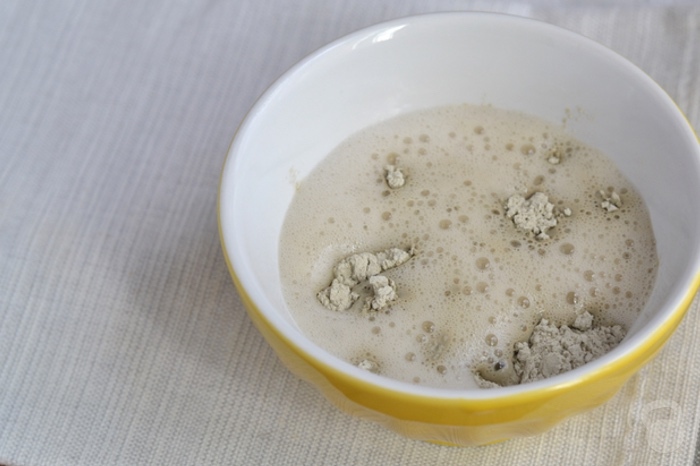 Bentonite clay is a mineral-rich substance formed from volcanic ash. It’s been used for centuries to promote health and prevent disease because of its unique ability to produce an electrical charge when hydrated. Don’t worry—I know what you’re thinking. This homemade face mask for acne will not shock you. Instead, when hydrated, bentonite clay carries a strong negative charge. When applied to the skin, it bonds to things with a positive charge, like bacteria and other impurities. While there is limited research on clay and skin conditions, studies suggest it may be an effective antibacterial agent, and improve skin conditions associated with infections. While you can create a homemade face mask using filtered water and bentonite clay, apple cider vinegar kicks the nourishing benefits up a notch. Apple cider vinegar (ACV) is simply the by-product of the fermentation of apples. Apples are loaded with potassium, pectin, malic acid and calcium, and the fermentation process fortifies the end product with even more beneficial acids and enzymes. While it may seem weird to put apple cider vinegar on your face, it’s antiseptic and antibacterial, which is an added bonus when dealing with skin infections and conditions like acne and eczema. 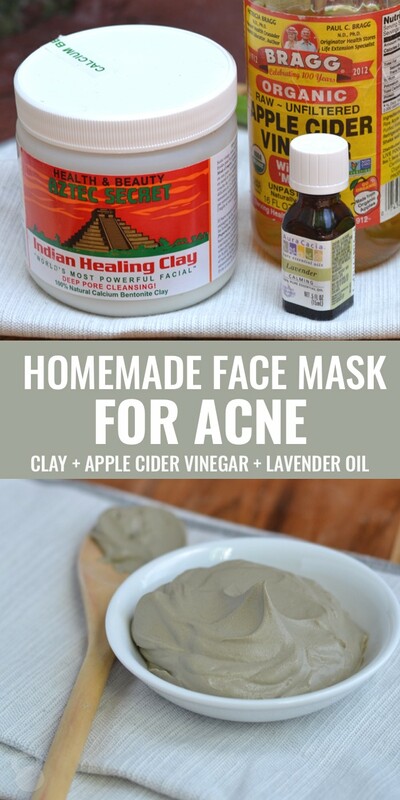 After using this clay mask, I highly recommend using an apple cider vinegar facial toner. This will help freshen skin and remove any excess residue of the face mask that may have been left behind. Mix ingredients together using non-metal utensils until a paste forms. Apply paste evenly across face and let sit until it dries, about 30 minutes. If you have more sensitive skin, consider only leaving it on for 10-15 minutes. IMPORTANT: When testing out any new skin care products on your face, natural or not, please do a patch test on your skin to see how your skin responds to the ingredients. You can do this by applying a very small amount to a spot on your face, and following the directions for application. If your skin does not respond well (becomes itchy or inflamed), remove the product and do not use it again. 1. This mask is thick. If you feel it’s too dry, add a bit more apple cider vinegar. If you feel it’s too runny, make sure there are no “clumps” of clay that haven’t been well combined, or add a bit more clay to the mixture. 2. As a general recommendation, you can apply this homemade face mask 1-2 times a week. Start with once every 1-2 weeks, and increase as needed as you see how your skin reacts to the mask. 3. If you have sensitive skin, reduce the time you leave the mask on to 10-15 minutes. 4. To remove, simply use a wash cloth soaked in warm water. You can let the wash cloth sit on your face for 10-20 seconds, and then gently wipe away the mask. Rinse and repeat if needed. 5. The lavender oil is completely optional. Lavender oil is included because it has antimicrobial and antioxidant characteristics, which may help with acne, and can be an effective way to soothe inflamed or irritated skin. Have questions about this homemade face mask for acne? 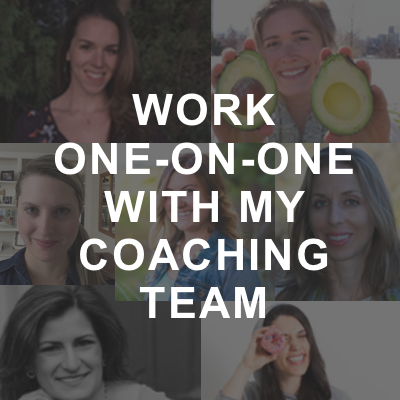 Have a positive experience you’d like to share? Feel free to comment below! 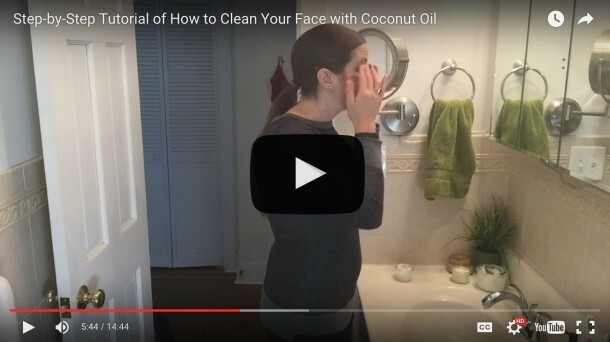 Get access to my step-by-step video tutorial, which shows you exactly how to clean your face with coconut oil and use other products like toners, moisturizers, and exfoliators in your routine! To access the video, please check your inbox (or spam folder! ), and confirm you're not a robot! Then, I will send you the video immediately! I just ordered my clay to try this! Pumped! I already use ACV on my blemishes, & it does a pretty good job, after years of trying to find a solution. Love this face mask! Tried it yesterday; feels so great. Awesome! So glad you do! Most grocery stores will have it! I link to where I purchase it from—Amazon—above! I have tried this 3 times now, in the past 2 weeks. My acne doesn’t seem to be changing at all, but I do like the feel of the mask. My pores even appear to be smaller, but we shall see as I do it more. Hi Ashley! Sorry to hear you haven’t had immediate results. Acne, as a condition, is a bit more complicated than a few face masks depending on the cause and reason for your acne. I highly recommend also considering a more comprehensive approach. Check out my other posts about using natural oils to clean your skin, and using apple cider vinegar as a toner. Also, I highly recommend considering common food intolerances like dairy, which can cause inflammation and acne. Whenever I use this mask I end up with red skin no matter what, and if I leave it on until it’s dry it itches so bad I can’t stand it. Is this how it’s supposed to feel? My sisters and brother also do this mask with me sometimes and they get similar results. Hi Janie! This isn’t how it’s suppose to feel. Your skin may be more sensitive than others—and because everyone’s body chemistry is different, it may not be the best fit for you. If you’d like, I recommend trying this with just water (so, no apple cider vinegar) to see how your skin does. You can also try only leaving it on for 10-15 minutes, and following up with a little apple cider vinegar toner (using the ratio for sensitive skin), and a nice DIY Facial Serum to add a bit of moisture. Let me know how it goes! Hi Ty! This face mask won’t help dark spots. It will, however, help exfoliate skin, which can improve your complexion. I would recommend trying cleaning your face with coconut oil, and following up with an apple cider vinegar facial toner. I’ve been looking on Amazon for well recommended face masks and facial cleansers. I’ve found a Dead Sea mud mask that I’ve heard works wonders. The face wash I’ve found is from Garnier and it has charcoal in it. From what I’ve read, the Dead Sea components in the mask and the charcoal in the face wash are supposed to be dynamic for ridding your face of oil (mine is very very very oily). Could you tell me if it would be better to go with these products or instead what you suggest–the coconut oil face wash and the bentonite clay mask that you describe on this page? Thank you! Hi Emily! Actually, I can’t, simply because everyone’s skin is different. I would recommend testing out this homemade face mask on clean skin for a few weeks (1-2x a week), and seeing how your skin responds. 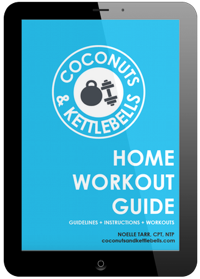 If you’d like to then venture out into trying the oil cleansing method using coconut oil, you can then give that a go and see how your skin responds. If you’d like to try other face masks from there, experiment and see what you like and what works best. Hope that helps! It has been suggested to me to use diatomaceous earth for a mask for the same purpose. 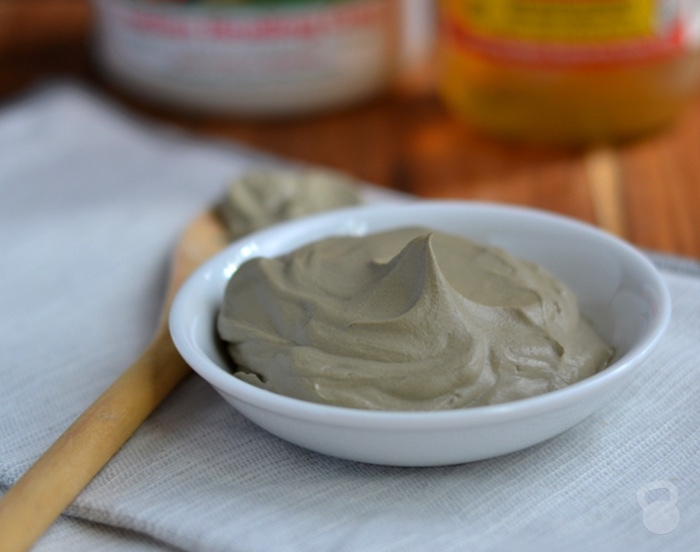 How do DE and Bentonite Clay differ in how they work? Hi Carly! Both are great options—however, they’ll each have unique properties and nutrients for the skin. I would recommend giving the clay mask a go, and if after some time you’re not happy with the result, experiment with a DE mask (more info here.) Hope that helps! Thank you for the quick answer. I already have DE on hand, but I do not have any clays on hand. I was just wondering if it would be okay to use. I have been using the ACV Toner and the DIY facial serum for about a week now, and I’m using up what I have of my Arbonne Sensitive Skin cleanser on hand (every other day), as I don’t have any Extra Virgin Coconut Oil at home, only MCT oil. In general, my skin is doing okay, but I’m breaking out on my chin, t-zone, and temples. 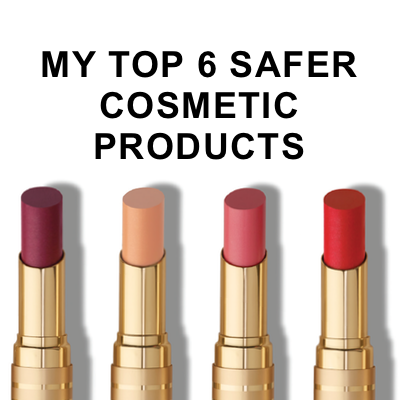 I had a small breakout on my chin, but it is larger now, and the others surfaced after I started using these. I have had acne off and on for most of my adult life (I’m 40 now), probably due at least in part to my PCOS and various health hiccups, and I’d really like to kick it to the curb, but I’m positively terrible at any self-care that takes time. Any suggestions? Hi Carly! Yes, I highly recommend trying the oil cleansing method. Chose an oil that’s right for your skin type, and test it out. Use How to Clean Your Face With Coconut Oil for instructions. Good luck! If I am to use a clay mask do I do the coconut clean and toner after it?? Or just toner and then coconut clean every other day?? Hi Janis! Great question! I typically recommend doing the mask separately as a more “deep cleaning” treatment once a week. If you plan to do the clay mask at night, I recommend cleaning your face first (with the oil cleansing method), and then applying the mask. Then, you can use the toner afterwards to freshen the skin and get any remaining residue off. Hope that helps! Can you make an 4/8 oz jar of this so you don’t have to make everytime? How long will it keep if so? Hi Andrea! You can hydrate the clay and it will keep as long as it’s sealed in an airtight container. Oh my gosh this was the worst thing ever. I just finished this mask and my skin was completely burnt!! It’s bright red and you can see exactly where I had the mask— I am so panicky right now, not sure what to do… I’ve put on some aloe and am just going to pray this doesn’t last for a while/ scar my ENTIRE FACE gaaahhh. Anyone else with this experience? Tips!? HELP!! Hi Nicole! So sorry to hear that! Did you make the mask using apple cider vinegar, or water? Also, have you ever tested apple cider vinegar or clay on your face/skin before? It sounds like you might be having an allergic reaction of some sort. Please make sure to check that the clay you used is JUST bentonite clay (no additives! ), and that the apple cider vinegar you used is raw, unfiltered, and no additives. Aloe is a good place to start! How did you recover from this, because I just had the same reaction! ???? My daughter is 11 years old and she is having bad acne breakouts. If I am to use the Coconut oil as the cleanser will it help? By the way, can my daughter uses mask since she is only 11. Hi Emma! It really all depends on her skin and how it reacts. I would first recommend looking to diet, as reactions to food (most commonly dairy, gluten, and chocolate) are often the underlying cause of acne. Also, make sure she’s eating probiotic foods, and/or taking a good probiotic, as the health of the gut drastically impacts the health of the skin. As far as topical treatments, I would be cautious before using any cleansers or masks, as a gentle cleanser is best. Please spot test before use! I have a really hard time getting a consistent paste. Mine is more like grey water and dry clumps. I’ve tried a couple of different tools, including my fingers squishing it together, and still can’t get a good consistency. Any suggestions? 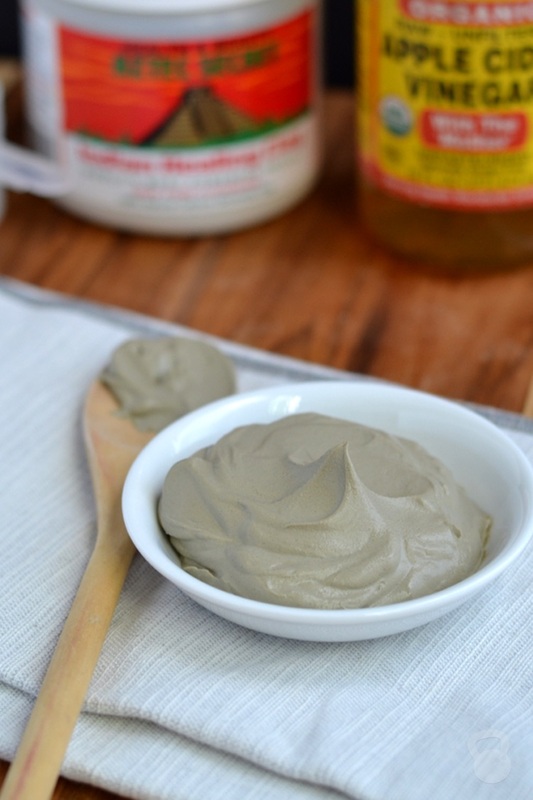 First, make sure you’re using pure bentonite clay. Second, you can play around with the ratio of water and bentonite clay to get it the consistency you want. Add more clay if it’s too watery, and add more water or apple cider vinegar if it’s too thick. Good luck! I have a question for you you. I tried this mask the other day, and it was unlike any other mask I’ve ever used. 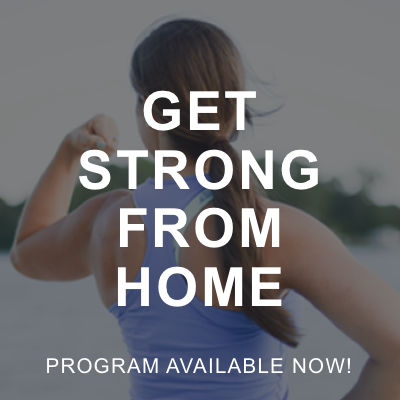 It felt like thousands of teeny tiny electric shocks all over my face, over and over again. Not unpleasant, but odd. When I washed it off I applied a coconut oil moisturizer because my face felt dry, but then my face got really hot and it felt like the coconut oil was baking my face. So my question is, should I not use a moisturizer after this mask, or should I use a non-oil based moisturizer? Hi Meghan! I don’t think it has anything to do with the oil. It is either because of the apple cider vinegar, or the clay. Try applying the mask and using filtered water instead of apple cider vinegar. If it still happens, you are probably having a slight reaction to the clay. Something more soothing like a face mask with honey might be a better fit. So I’ve bought all the stuff and have made it twice. The problem I am having is it’s really clumpy. How can I get it more creamy so it applies on my face more evenly? Hi Alicia! What kind of clay are you using? If it’s clumpy to begin with, try sifting it first. I simply put the clay in a bowl, pour the apple cider vinegar overtop, and slowly stir until well combined. Can you store the rest of the mask paste not used? If yes, then wheres the best place to store ot? Hi there! No, it will dry up. what can I use to preserve the face mask so that my customer can get more than one use out of it as well. Hi Mia! You can recommend they purchase the ingredients separately and then mix the mask in individually servings (takes about 20 seconds) according to the recipe above. What’s leftover will dry out. Get access to my step-by-step video tutorial, which shows you how to clean your face with coconut oil and use other products like toners, moisturizers, and exfoliators in your routine!